We are constantly adding to this page – keep checking back! We are in the process of integrating this material into our new site. In the meantime, you can access all the material here. Welcome to your guide to booking Israeli bands for your community. This guide has been mainly written by Jeremy Hulsh of Oleh! Records, with additions from the Makom team. The mission of Oleh! 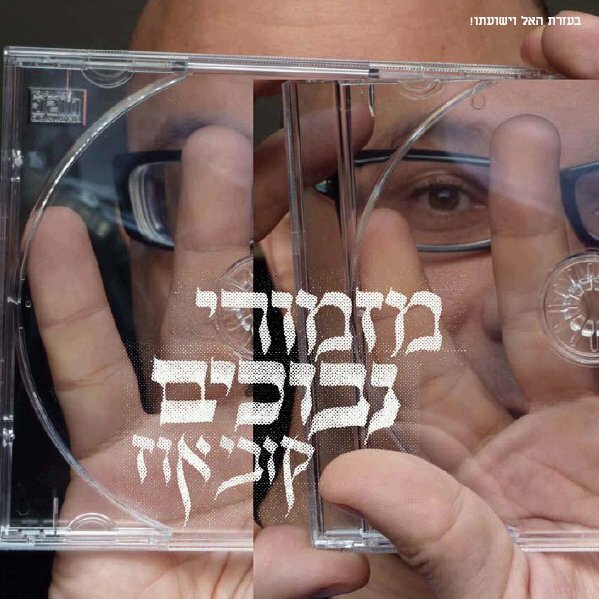 Records- Israel’s Music Export is to develop and export the Israeli musician community abroad, creating organic connections and exposure for Israel through its musicians and their authentic message within the Diaspora community and beyond. We have deliberately published the online version instead of creating a print-out version. This is because we would love to continue to incorporate your comments! Please look through this site, and let us know what is lacking, what is inaccurate, and what can be added. This way we may turn this into a truly useful and powerful tool for us all. Please note that as soon as the Makom Interactive section of our site is up and functioning, you will be able to use it to build ‘coalitions’ for bringing artists in collaboration with other communities. Here you will find the various film guides we have developed for Israeli films and TV programs that are available on DVD and/or netflix, with English subtitles. Israeli pop music is full of hints, comments, and colors of modern-day Israel. This ever-growing collection of blogs and articles draw on Israeli (and sometimes non-Israeli) songs to explore the deep rhythms of Israeli culture. Culture Vulture is a regular update on Israeli culture, written by educator, activist, and artist Neil Harris. 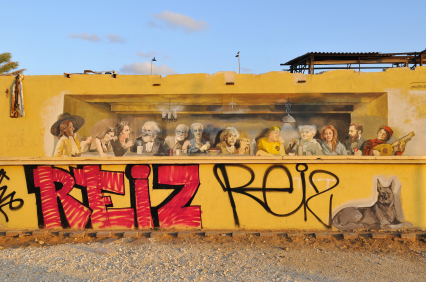 If you are spending some extended time in Israel – Culture Vulture is for you! Up until now it had been sent out to a list of a few hundred people, and we at Makom are delighted to have received permission to syndicate! I’m very excited about London, these days. Starting on 27th April there’s going to be a massive Israel festival leading up to Yom Ha’atzmaut on the night of May 5th. It’s the JW3 inaugural Chag Ha’atzmaut, that we at Makom consulted on. I think it’s just a fantastic program, and I’m going to spend the next few days explaining why. As its title suggests, the festival deals with the Party and the Political – fun stuff and serious stuff, panels and lectures, performances and screenings. The festival has everything – live music and live parody; Brits discussing Israel and Israelis discussing Israel; films and art and theatre; amazing dance workshops and kids’ events. What gets me most buzzed is that JW3 has made such a bold statement: That Israel is important to them – important enough to relate to Israel’s dynamic complexity as an honest adventure that has room for celebration and for deep questioning. For every candle of Hanukkah, Shlomit Naim-Naor will present a Hebrew poem, written by an Israeli woman. Enjoy! Every night of Hanukkah, Robbie Gringras writes of a piece of Israeli culture that provides a glowing light to his life in Israel. Enjoy! We often feel how the soul of Israel was conjured for us through its music. Who can imagine connecting to Israel without Yerushalayim Shel Zahav, for example? Yet often we find ourselves torn. On the one hand, we know that Israel is no longer the land of clean emotional simplicity that those old songs conveyed. But at the same time we feel loath to present Israel only in the light of its difficulties and complexities, without any of its pure ‘soul’. This program presents five songs that feature in the ‘canon’ of classic Israeli song, but that have been remade and adapted anew by contemporary Israeli artists in the last few years. It is the combination of the old beloved songs, with their modern interpretations, that will give us a fascinating window into the developing soul of Israel. A modern day Pesach story – free checking!